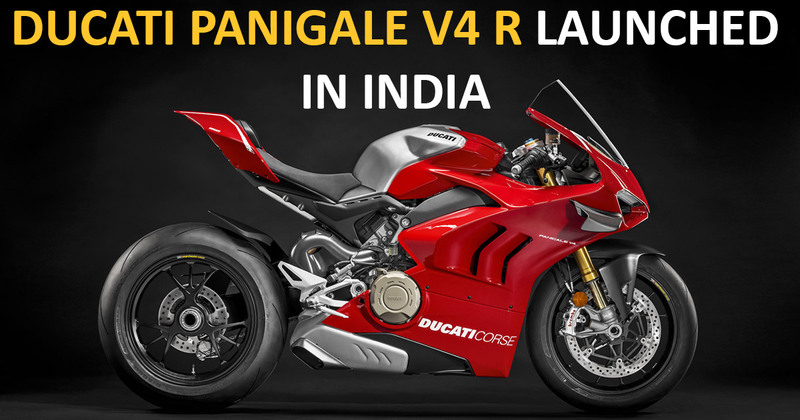 Ducati has introduced the Panigale V4 R in its Indian lineup. Going to be provided in a limited count of five units, this race-spec version of the standard Panigale will price you premium at INR 51.87 lakhs (ex-showroom, India). Hurry up guys with heavy pockets to book your dream at any of the nearest Ducati dealership. The buyers who will book for this road-legal version of the WSBK race bike be able to have hands by the first quarter of 2019 while the latecomers will get the delivery by the second quarter. FYI this Homologation Special Panigale V4 R edition is set to compete in the 2019 season. The underpinned 998cc Desmosedici Stradale R powertrain is tuned not only to generate the maximum power of 218bhp along with 112Nm torque but also to meet the racing guidelines for the upcoming season. While the churned power on the standard bike that houses 1,103cc power plant is slightly higher than this race-spec version at 211bhp and 124Nm. 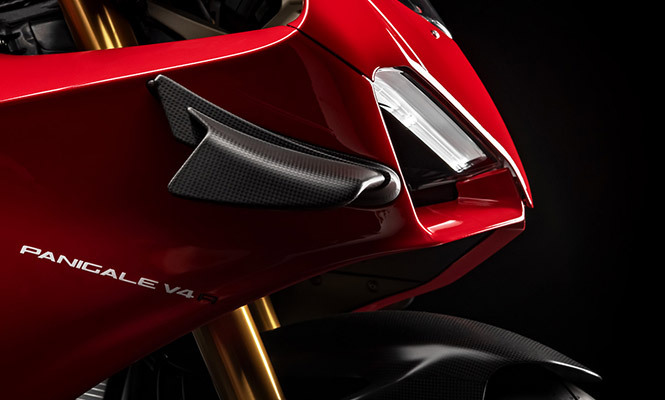 Other than the powertrain, the designing of the Panigale V4 has also been tweaked to be in line with the MotoGP bikes with the introduction of winglets on the fairing and larger windscreen. The underpinned chassis is also reworked to offer improved handling on the race tracks. On the suspension front, the forged Marchesini wheels suspend over mechanically adjustable race-spec Ohlin suspensions. The electronic package on the Panigale V4 R is comprehensive with the presence of bi-directional quick-shifter, engine brake control, launch control, wheelie control, traction control, slide control and cornering ABS as well. In addition to this, the pit limiter and lap timer make it all the more racing-oriented. At the pricing of INR 48.94 lakhs (ex-showroom, Mumbai), the Ducati Panigale V4 R will pit against the MV Agusta F4 RC in the Indian market.